Original Article: Cross-platform play is becoming more common in multiplayer-orientated video games. Minecraft, Fortnite and Rocket League are using this new technology to unite and sustain their communities. Blizzard happens to be one of the many companies open to the idea of cross-platform play - having already made Hearthstone playable online across multiple devices. What about Diablo III Eternal Collection, though? Although there's nothing official to announce just yet and similar statements have also been made in the past, Blizzard is now reportedly working with both Sony and Microsoft to enable cross-console play with the Switch version of Diablo III. 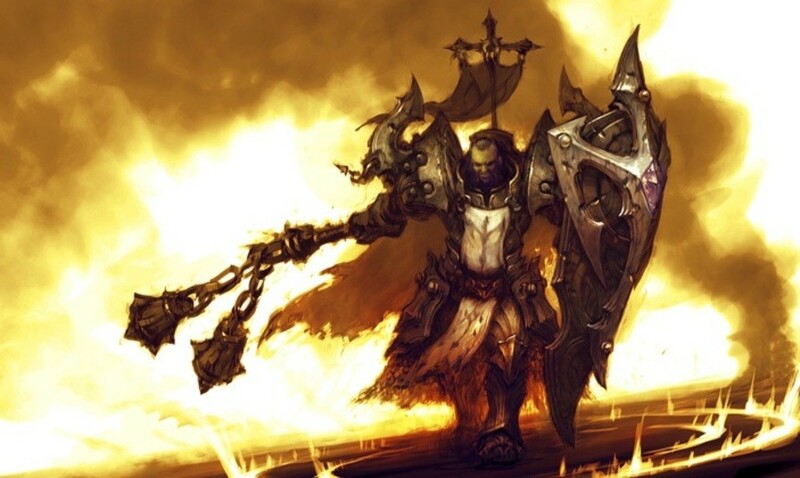 Are you glad to hear Blizzard is working on cross-platform play for Diablo III? Will you be buying the game when it arrives on the Switch next month? Tell us in the comments. While I don't see PC or Sony jumping into the cross play, Xbox and Switch cross play seem to be a fair assumption. Microsoft and Nintendo seem to be a good chums lately. It's cool! I mean it lets us share the fun that is the entertainment of video games! @Shade_Koopa There's nothing stopping PC. That's entirely on Blizzard to implement or not. Only consoles have the issue of a platform holder standing in the way. Xbox and Switch are pretty safe calls. Sony will probably try to resist it, but I think Fortnite took most of the fight out of them. Now that they've given in once gamers won't give them peace until they yield for any game that could potentially get cross play. By the next gen I'd say all the big games will have cross play, FIFA,Call of Duty, GTA etc... It's inevitable. This would be nice since all my maxed characters are on the PS4. @DonSerrot The PC version has no controller support. I'd be more inclined to believe in a PC/console crossover if this was a thing. Now if they prove me wrong, then yeah. More power to them. But can I play with my friends who are on PC?? Now that's the question. As long as we get cross play with Xbox, I'm happy. My brother has had the game for a year and I'll get the game to play with him on my Switch, even though I already own it on PC. Have they gotten rid of Overwatch's unnecessary loot boxes and fixed progression? I wonder if it will have access to Battle.net or not. I'm kinda wary of it ever since they announced that "we'll ban you for posts on social media" policy. Hopefully all consoles, the others have dropped a bit in player base I'm sure. Might as well. This is great news as I also have Diablo 3 on PC. Thanks Blizzard. This is good for those of us wanting crossplay to become the standard. These games are already multiplatform, restricting multiplayer is just an old hat way of doing things that needs to die. @DonSerrot "There's nothing stopping PC [from breing cross-platform]..."
In the case of Diablo 3, the PC and console versions are effectively different games with radically different control schemes and some notable differences in gameplay features. That's why D3 will never have cross-platform play between PC and console (probably). @Mountain_Man I figured as much. @Shade_Koopa There's no entity like Sony stopping it from happening with PC. Just a matter of Blizzard doing it there, so there's really no reason for it not to happen. Microsoft is playing nice, so they will. Sony finally caved on Fortnite, they might be going into it kicking and screaming, but there's no going back now. Now that everyone's warming up to the idea of cross play, maybe Microsoft, Nintendo and Sony will collaborate to create the ulitmate gaming machine- the SwitchBoxStation. 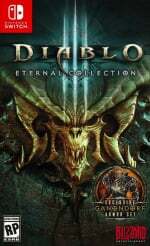 I own Diablo III on Mac, but I really want to get the Switch version too. I would love the option to get a discount if you already own the game on another system. Cross-play sounds great! I recently bought an iPad to make up for Pokémon Go always running on my iPhone. On top of that, Nintendo for some reason have this dilutional idea that people always have their phone with them and it’s ready to use for stuff like Nintendo online. Seriously Nintendo!? Of all companies, you should know that my phone is living in Pokémon Go land! Love how Sony did a massive policy shift and yet people still act like they won't join in. It's pathetic that no one was vocal about this last gen but oh well. would you be forced to go through Nintendo or Nintendo Direct ??? If so, I'm out !!! If they are putting this much effort into the game after all these years there must be another expansion coming to D3 with the Druid. @DonSerrot I doubt Blizzard would implement cross play between the PC and console versions, because there are too many differences between the PC and console versions. However the different console versions are all essentially the same gameplay-wise, so it makes sense to support cross play among console versions. EDIT: Just realized MountainMan and others already said this. I just hope I can use my PSN account (Doubtful with Sony, I know.... T_______T ) cause there's no way in hell I am re-starting a character when I have Paragon lvl 1200+ on my PS4 account........PLEASE SONY!!! LISTEN TO US NOOBS!!!!!!!!!!!! @Shade_Koopa @Mountain_Man Actually it is completely possible and will probably happen. The special features are what will keep each system different. Its how each console or pc will compete with each other. This one will have this this one this or I can do this here and not here. Its really quite strategic to do it this way because in reality it is no different then making a player class and then altering it a little and having two different types of the same class. @Dirty0814 I'm gonna be realistic and say it will only be Switch and Microsoft. Sony has weird a policy with cross play and PC is hit or miss. If it happens, great. If not, then it's expected as much. Yea Sony will be like pulling teeth but if they caved on epic I'm sure they will blizzard as well. It might be the last one on board but if xbox Nintendo and PC all do it Sony will be pretty much forced to in my opinion. Like you not getting my hopes up but am interested I'm seeing what special features they will implement with each system. @Dirty0814 There's more to it than just variations in how some character classes are played. There are several fundamental differences between the PC and console versions of Diablo 3 that would make cross-platform play extremely difficult to pull off without overhauling the entire game on both systems, which is very unlikely at this point. Actually it's not unlikely and is very possible. Those fundamentals you speak of for Diablo 3 can be altered and changed just like they change things in all games. There is nothing game ending that would need to be done and nothing that would change how the core game looks or plays. It's completely do able with or without a bunch of changes. The changes that would need to be made are not that drastic at all.